The high-quality uPVC and aluminium roof lanterns we stock from UltraSky and Atlas are not only extremely efficient at letting beautiful natural light into your home, but their beautifully-designed frames are a stylish and desirable feature in their own right. Adding a roof lantern to your home can not only enhance the interior of your home, but be a real asset to the external look of the house too. But the gorgeous looks of a quality roof lantern are not for everyone. For many reasons, some homeowners may prefer a much more subtle solution to bringing more natural light into the home. They may simply prefer to maintain the simple uncluttered lines of their flat roof which may visually be more in keeping with the overall look of the home. Or there may be practical reasons where the raised canopy of a roof lantern is less desirable. 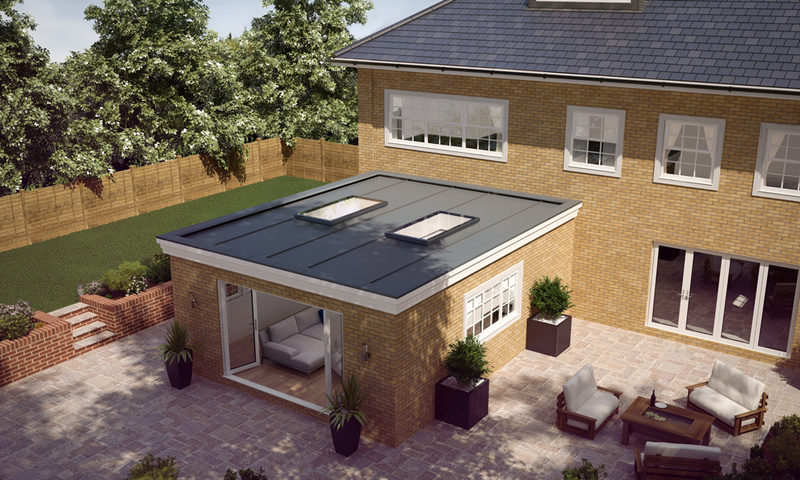 Luckily we are delighted to now be able to offer customers the Flat Rooflight from Atlas. 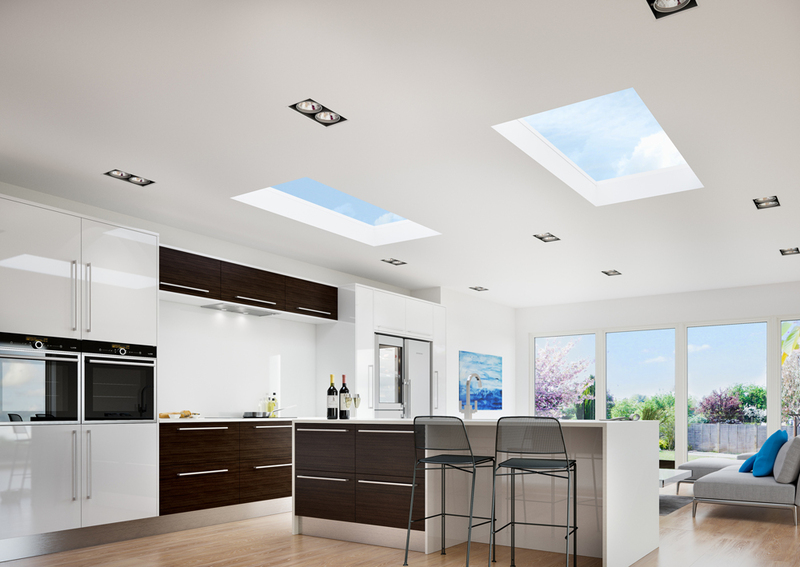 The Flat Rooflight opens up a room with natural light in the same way a roof lantern does, but also offers a super-low profile for those wanting a more subtle look for the outside of their home. The Flat Rooflight really is one of those innovations where less is definitely more. The sleek low-profile frames sit almost flush to the roof. The frame height, which is some 27% lower than leading competitor products, creates an uncluttered modern minimalist look to your home. The frames have been carefully designed to provide strength and durability, yet also to be as slim as possible. As with the Atlas Slim Aluminium Roof Lanterns, the frames are designed to allow as much light in as possible and create a desirable illusion of open roof space. The frame features an extremely thermally-efficient uPVC core encapsulated within a stylish yet hard-wearing aluminium capping. 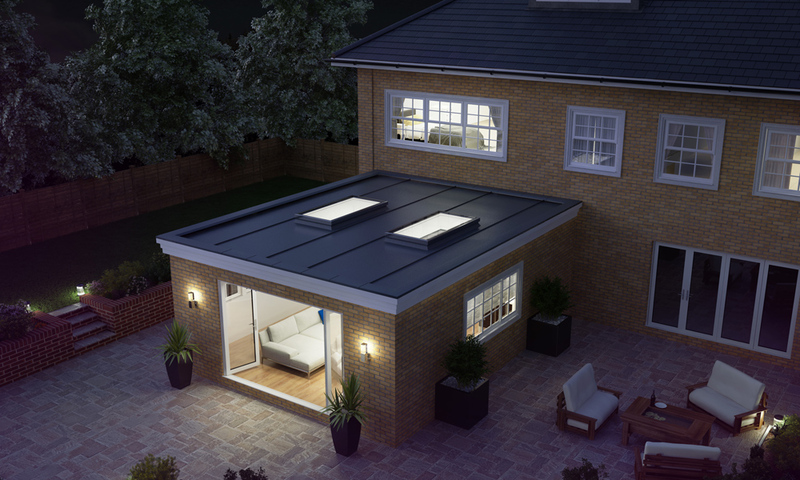 Combined with high-performance double glazing, the Flat Rooflight delivers an impressively low U-Value of just 1.3W/m2K, meaning your room will lose minimal heat through the roof to help keep you warm and toasty during the winter months. The product can be simply screwed in from the side with discreet hidden direct fixings, or alternatively from the underside with strap fixings. 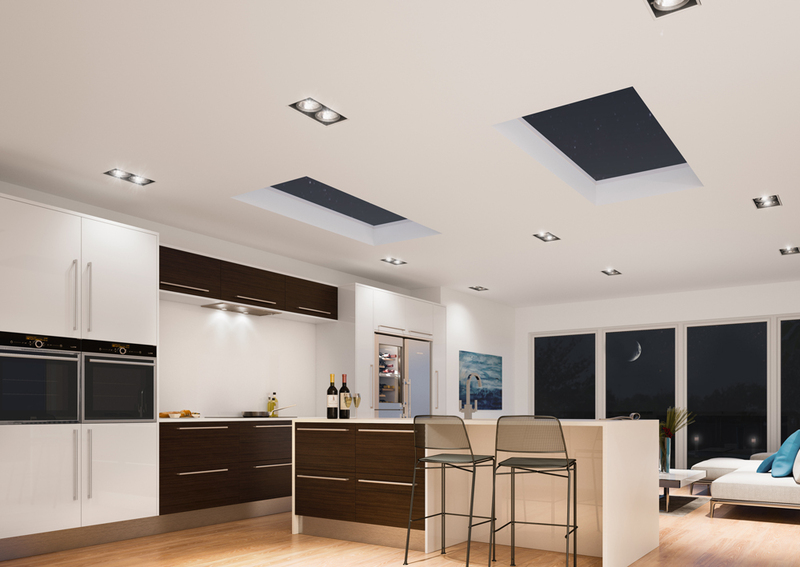 The integrated internal plasterboard pocket allows easy bordering / plastering and the clip-in external weather bar gives your Rooflight a clean smooth finish. Your Flat Rooflight is designed to require minimal maintenance and to withstand the ravages of the worst weather conditions. Boasting self-cleaning glass, the external frame also features a kerb with a 5-degree pitch to allow rainwater to easily drain off rather than collect on the Rooflight. 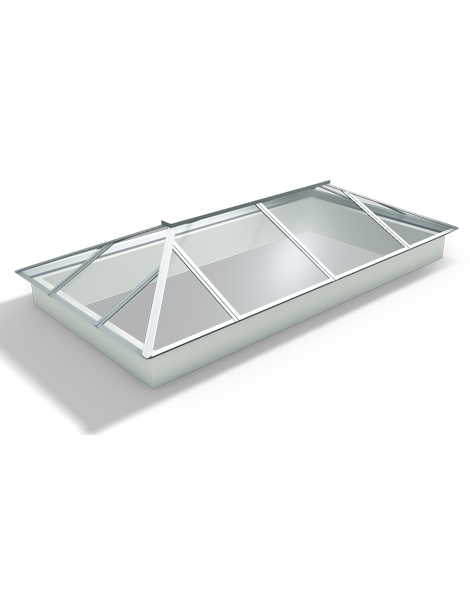 The Flat Rooflight comes with a 10-year warranty for your peace of mind and covers the sealing and easy-clean coating.